Pay in Full today @ $24.99 or own it in payments. 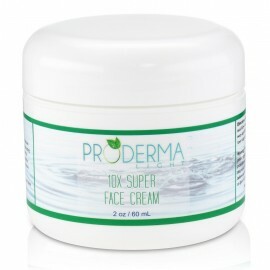 This has been our best-selling skin lightening face cream for over 6 years simply because it works! 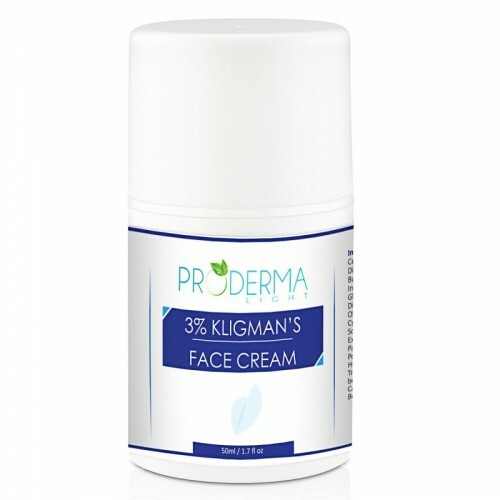 The ProDerma Light 3% Kligman’s Face Cream is inspired by the formula of Dr. Albert Kligman, the famous US dermatologist who invented the widely used acne medication Retin-A. 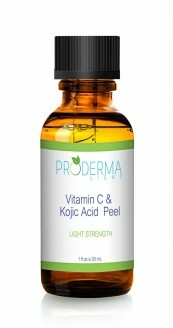 Dr. Kligman also created the most guaranteed skin lightening combination that is still popularly used today. The 3% Kligman's Face cream works wonders at removing dark spots, post-acne marks and will give you a glowing, even skin tone. 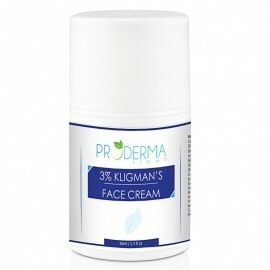 The 3% Kligman's Face Cream starts working very fast. It will not take weeks or months to see results. 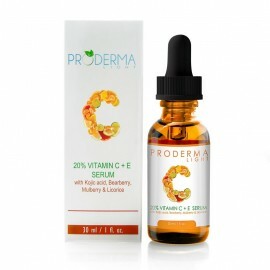 Kligman’s Formula is a skin lightening formulation that consists of hydroquinone + Retin A + corticosteroid .The combination of these ingredients results in a potent skin lightening formulation that can be used to treat conditions involving hyperpigmentation, melasma, age spots and dark marks. As with all our products, there is a 30-day Money Back Guarantee. If for some reason you are not satisfed, simply return the product for a full refund. There are no restocking or any sort of fees for a return. You MUST wear sunscreen when using this body cream because hydroquinone and glycolic acid and Retin A can make the skin sensitive to the sun’s UV rays. This lightening cream should NOT be used in the genital areas. The genital areas are very sensitive and the ingredients used in this product can possibly cause irritation in these areas. I just want to say how this product is absolutely amazing! I honestly have been using it for years! I've struggled with hyperpigmentation ever since I was little so I've been trying different products. However, this one didn't dry out my face and it lightens it so that it's not noticeable. I am SOOOO glad I got a hold of this product! Thank you! I've just finished my my bottle of this product. 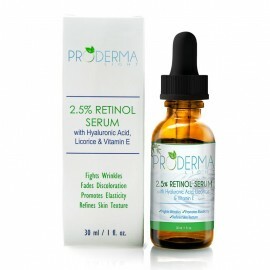 It's really excellent and fast acting...I couldn't use it everyday because my face would get significantly lighter than my body. The issue I have is not with the product...but the length of time it takes to receive shipment fr this company. Everywhere else u purchase items only u can expect it in 5 days max...however I waited almost 2wks after placing my order to receive my product and when I called the lady had an attitude...advising me to wait 7days after placing order before calling them, because it takes 7days to process transactions and send orders out.. This is 2018...y'all need to step y'all game up bruh! Wish i could give it more than 5 stars...Hands down best nightcream out there!!! I Need more now! Have given it to all my friends they are all hooked also!